This year marks my fourth tour of duty at CinemaCon, and I still can’t tell whether it’s a blessing or a curse to present first, but STXfilms stepped up to the plate on Tuesday morning and I’d say they hit a solid double. This year feels like a crucial one for STX, which is poised to take a major leap thanks to what appears to be the best slate of films in its short history. The company is already off to a hot start due to the success of The Upside, which has grossed $107 million at the domestic box office after STX rescued the film from The Weinstein Company’s bankruptcy. STX has come a long way since its debut release, Joel Edgerton‘s 2015 thriller The Gift, and it has established a clear identity for itself in the marketplace as purveyors of mid-budget movies driven by A-list stars. STX chairman Adam Fogelson kicked off the presentation with its next release, the Taraji P. Henson–Sam Rockwell drama The Best of Enemies. Personally, I’ve found it difficult to get a handle on the tone of this message movie. The trailer seems to be balancing a lot of Klan talk with orange-and-yellow ad copy that makes me wonder — is this a light and frothy film about enemies who become unlikely friends, or a serious issue movie about racial segregation? It seems like STX is gunning for the Green Book crowd, but I’d be surprised if audiences turned out for this one at the start of summer movie season. Next up was Poms, which hails from the producer of Book Club, though I think it’ll have a hard time replicating the success of that film, which grossed $68 million stateside. Diane Keaton and Jacki Weaver star as women trying to start a cheerleading team at their retirement home, which means having to audition lots of colorful septuagenarians. It’s the kind of movie my grandmother could see with her gal-pals on a rainy afternoon. I bet it does some decent business, but it’s certainly not for me. Keaton actually took the stage to reveal that she once tried out to be a cheerleader when she was a young girl but she didn’t make the team because she wasn’t very strong. The panel picked up a bit when Chadwick Boseman came out to discuss his new cop thriller 21 Bridges, which looks like a solid programmer for STX. Taylor Kitsch and Stephan James co-star as bad guys who kill a bunch of cops, so Boseman’s detective orders the city to shut down all bridges, tunnels, rivers and trains, and like that, the manhunt is on. 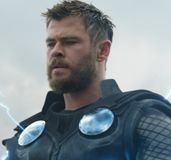 The film was produced by Avengers: Endgame directors Joe Russo and Anthony Russo, and the trailer understandably plays up the brothers’ connection big-time, but it still needs a better kicker. 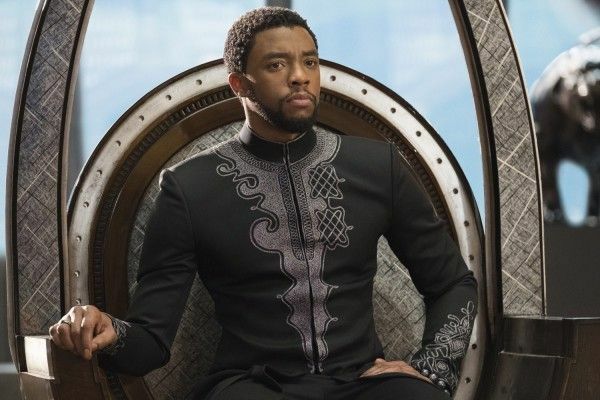 I’m just glad to see Boseman in this kind of role, because he needed a movie like this, one where he’s not playing a superhero or a real person. Message from the King wasn’t the right vehicle for him but this looks like a strong fit. Boseman said he actually prepped for the role by hanging out with LAPD and NYPD officers, but just when he was about to describe the differences between the two departments, he stopped himself and thought the better of it, which was probably a wise move.